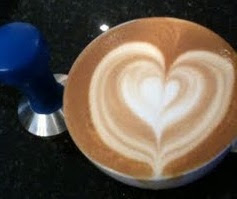 Congratulations to Benjamin Wilkinson, our very own 84 Wall Street manager who won the latte art contest for week 3! The random winner of the week was Sean Milnes. Week 4 photos must include a steam pitcher.